Just found this while playing around in Google Maps My Maps feature. 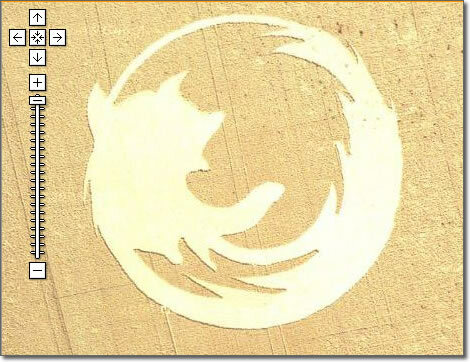 A 67 metre Firefox logo as a crop circle. Its been around since August 2006 and apparently it’s not the first of such stunts by a Linux user group at Oregon State University. When they do a job they do it properly, – they went all out with helicopters and planes documenting the process. Link to the groups site. If this is fake, why does it show up on the real google maps? Often a fantastic submit once i visit this website and various information sites you own. Recognize the value of ones insights.